Atlanta is a city —admittedly a very small one— that is perhaps more suitable for still life photography than any other city. This small place is filled with treasures, shacks, and ruinous evidence of life over its 156-year history. In this workshop we’ll turn to large format cameras and paper negatives to create intimate still life portraits of spaces and objects. Looking back to the early years of photography, we’ll explore the genre of sill life photography and its use of symbolism. The workshop fee includes workshop, lab fees, and lodging for three nights. Students will need to arrive by 7pm, July 25. Supply list provided upon registration. Weekend Hideaways are all-inclusive weekend experiences offering students an opportunity to stay in historic Atlanta cabins, eat locally sourced food and reconnect with their creativity. Continental meals and private lodging provided. Jonathan Sadler moved to Boise eleven years ago from Chicago, Illinois where he still maintains a studio with his collaborative partner, Luke Batten. Jonathan’s collaboration goes by the name New Catalogue. Using a methodology that both parallels and gently ridicules the concept of stock photo agencies, New Catalogue creates photographs that tap into popular culture while expanding on traditional photographic genres. 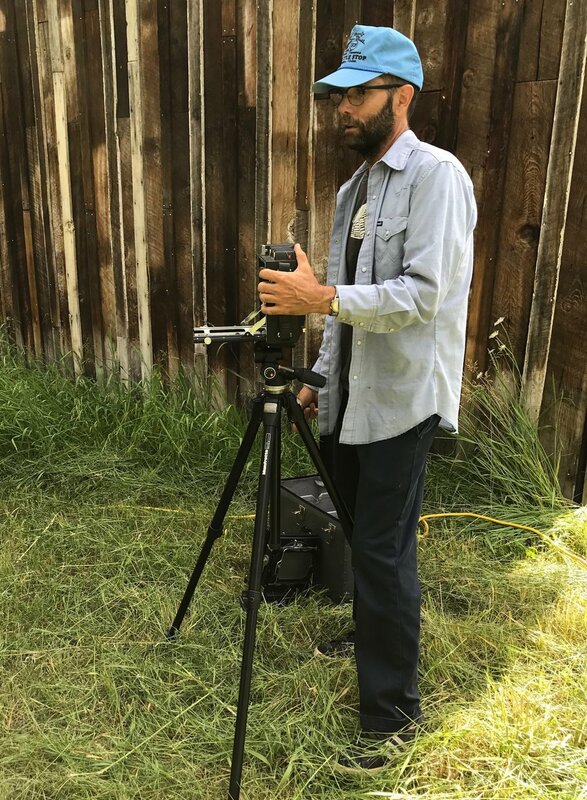 Jonathan’s most recent solo show, Shuttered, a series of color photographs of rustic Sierra Nevada cabins, was exhibited at Sparks Gallery in South Pasadena, California. Jonathan has shown nationally and internationally at the Museum of Contemporary Art, Chicago, The Indianapolis Museum of Art and the National Gallery in Prague, Czech Republic among others. His work is included in the permanent collections of many major museums. Jonathan teaches all levels of Photography at Boise State University.